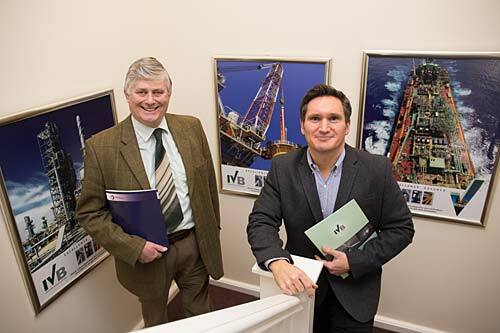 A Great Yarmouth-based verification and inspection company has emerged from a tough trading year to win new overseas contracts worth more than USD 7 million. Inspection Verification Bureau (IVB), which serves the oil and gas industry, believes its success is down to pricing its services to suit the geographical markets in which it is tendering. IVB, which provides inspection and verification services onshore and offshore, has started, or is about to start, on seven new contracts – a EUR 1 million verification services commission for 24 offshore platforms in Dutch waters, verification work on three offshore and two onshore developments in Egypt worth USD 2 million and a USD 4 million contract to provide asset integrity systems (AIMS) for a client elsewhere in the Middle East. The falling value of the pound against the dollar and euro has increased the profitability of these contracts, all of which were quoted in one these currencies. Bolton says the falling oil price and shrinking sector had made 2016 a difficult year for the company, which employs eight full-time staff and serves clients around the world. “The next few years will be significantly better,” he adds. “The oil price has crept up and will continue to rise slowly, and this has resulted in renewed optimism and an increase in activity. IVB is working towards ISO 17020 accreditation and is now accredited with the huge ADNOC and ZADCO group of companies based in Abu Dhabi, which makes IVB eligible to tender for their work. The company was recently presented with a Commitment to Excellence award by Best Practice Industry UK.